Every so often I pop in with a skincare/beauty product update based upon what I am using and loving at the moment. I am typically a creature of habit but I try to rotate my skincare products when I can as well as try new things to give my skin a little jolt. Sort of like rotating your shampoos you know? I do have some allergies and try really hard to avoid parabens and harmful ingredients. It can become a bit tedious reading every label and inquiring about the ingredients but doing so keeps my skin looking nice and healthy rather than irritated and icky. I am still using the Whole Foods 365 cleanser. It’s only $5.99 and minimal in its ingredients (no parabens!). It gets the job done but sometimes I rotate in a Shiseido face wash. I am also still using the Whole Foods 365 Moisturizer for my body. 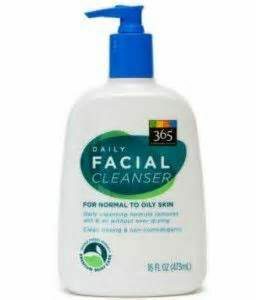 Also $5.99, it’s a great, plain product that leaves my skin noticeably soft. Toners are a great addition to your skincare routine because they help to close up the pours after you wash your face and prep your skin for your moisturizers. I go through phases where I skip the toner because I want to shorten my morning/evening skincare routine but I really shouldn’t. I definitely feel and see a difference when I use a toner after I wash my face, even though it’s an extra step in the process. 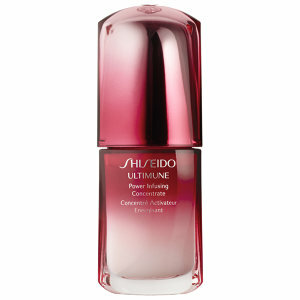 I fell in love with the sample of this Shiseido Power Infusing Concentrate and had to have it! My skin was so soft, definitely brighter and glowing only a day after using this product. Supposedly, after applying this serum, your skin will better absorb the moisturizers that follow. I was told to use this Power Infusing Concentrate before applying another serum but if you are looking to save money, this works well on its own without buying another serum product. 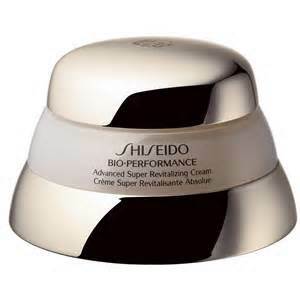 I have been using this Shiseido Bio Performance Advancd Super Revitalizing Cream as my morning and evening moisturizer. 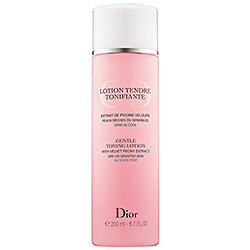 It’s super hydrating and helps prevent the formation of lines and wrinkles. It may not have a sunscreen in it but I make sure to apply a tinted moisturizer or light foundation with an SPF each day before I leave the house. I switch up my eye creams often but always look for a product that minimizes darkness and circles as well as helps to prevent wrinkles. 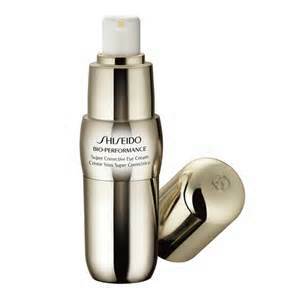 I love all of the Shiseido eye products but this is the one I am currently using. I don’t overfocus on wrinkle treatments for the eye area because I don’t have wrinkles there yet. I don’t squint since I am always wearing my shades out in the sun and “crow’s-feet” don’t really run in my family. They say that genetics do play a role in our wrinkle prone areas but we still need to take care of our skin to limit the development of lines and wrinkles anyway! 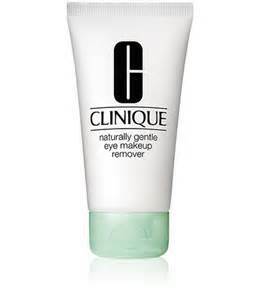 I am really sensitive to the ingredients in makeup removers, especially around my eyes, but I do just fine with the Clinique Natural Gentlye Eye Makeup remover. It’s new packaging but same product that I have been using for a few years. I take the cleanser that I use for my brushes seriously since I do have some allergies and don’t want to use anything harsh on my brushes since the brushes will touch my face. 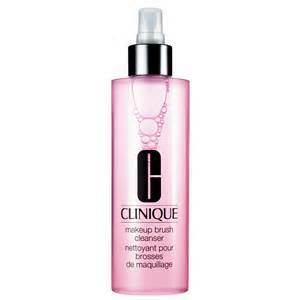 I bought a new bottle of the Clinique Makeup Brush Cleanser because mine accidentally broke all over the floor last month! By the way, I have been using the same makeup brushes (Laura Mercier) for like eight years now. If you invest in some quality brushes, they should last you a super long time. I keep thinking though that maybe I would like to replace a few of them/add some new kinds to my collection. Same as the last two years, Skinceuticals is worth every penny. 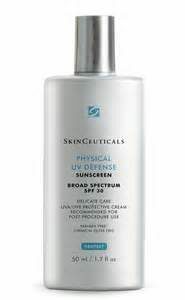 Check out my sunscreen post for more in-depth discussion on Skinceuticals and other sunscreen information. 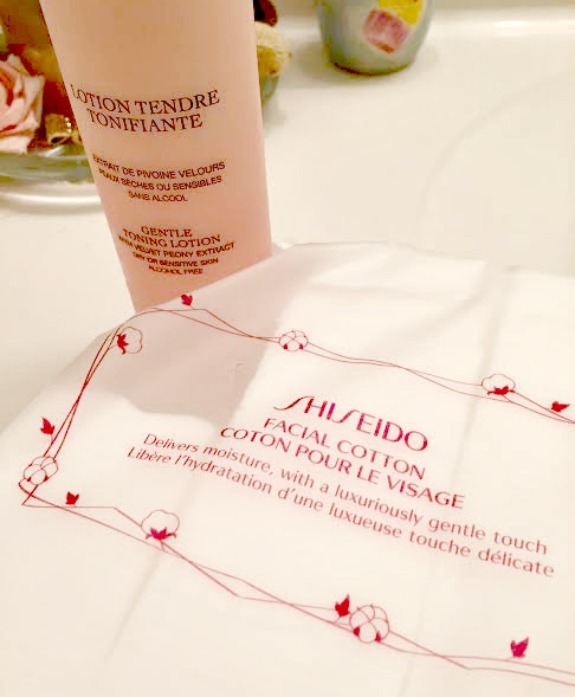 Once you try a Shiseido Facial Cotton, you will never use a swisper again. I can’t even explain it but these cotton pads are just so soft and gentle! I was given a few cotton squares as a sample and immediately felt such a difference that I had to buy a package. I use the cotton squares to remove my eye make up and to apply the toner. You can feel the difference around your eyes as you try to remove your makeup and when applying your toner, you can actually feel your skin receiving more of the toner instead of the cotton absorbing it all before reaching your face. I googled a few reviews of the Facial Cotton before making the purchase and everything I read was positive. The package is really big and it costs around nine dollars which isn’t bad at all considering how many pads you get AND you can split them in half! 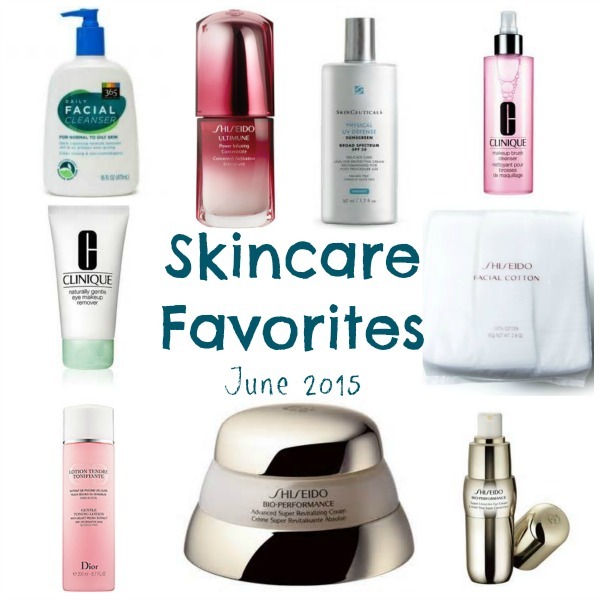 Which new products are you currently loving for your skin? How old are your makeup brushes? Are you due for some new ones? What’s your weekend running plan? I am so so bad about buying new skin and makeup products. I usually just buy stuff at CVS or target and try to get it to last as long as possible. I don’t wear a lot of make up so I feel like I don’t care about that stuff and don’t like spending money on it, but I know I need to take skin care more seriously. Thanks for the recommendations! I’m so bad with skin care. I really only use a face wash in the shower and a daily Oil of Olay moisturizer with SPF every day. Otherwise, I don’t wear makeup or invest too much time on my skin. Every so often I will use a Biore face mask if my skin has been feeling extra oily. This weekend I’m hoping to do a short shake out run tomorrow, and then a half marathon on Sunday to kick off marathon training! I’m looking to get back into regular long runs and I think a “race” is a great way to do it! I don’t use much on my face. I wash it with regular Dove soap and then I put on this topical prescription cream to help even out my skin tone (it got all pigmented when I was pregnant with Callum and never really returned to normal). It’s super hot out here today and I plan on strapping on a bunch of water bottles and slogging out a 20 mile run!